Please note all team and squad selections are the decision of the Head Coach. The club is entering a new era, and to fulfil the next stage we have changed some of our guidelines. We have taken the guidelines from the British graded tables 2009, which have been used as the base line of setting up other Performance Centre’s, within Wales. The guidelines are set at all distances and ages starting from 9 to 17. Ages are as at per the 31st December in any year. Swimmers over the age of 18 years old must have a qualifying time for the Welsh Senior Age Groups which is held at Easter. Squads below F5, will continue to work on their technical and aerobic abilities, in line with LTAD. All children develop and grow at different times, so it is important that parents don’t judge their child against another, who may be developing in a totally different way. Performance: Meeting the performance criteria set for each squad. This includes personal best times, skill requirements and training set performance. To be reviewed throughout the season. Attendance: Members of Performance 1 MUST attend a minimum of 7 sessions per week. Any squad member consistently failing to reach this requirement WILL be moved to a more appropriate squad. Attitude: All squad members should exhibit a positive and professional attitude towards training (both pool and land) and competitions. Negative attitudes will not be tolerated as every session has a benefit to the swimmer and is equally valuable. Punctuality is important so that the land warm-up can be performed before every session. Competitions: Every squad member should enter the competitions outlined by their coach. These will be selected to help maximise each swimmer’s performance and will target major meets. Swimmers who fail to consistently compete will be moved to a more appropriate squad. Should attend a minimum of 8 swimming sessions per week. Attending the full programme will enhance the swimmers progression and maximise their potential. Feet past the flags on all turns. 5-6 fly kicks on frontcrawl and butterfly, 6-8 on backstroke. Use fly kick during breaststroke underwater phase. Hold streamlined position for 2 seconds during breaststroke turn. Frontcrawl, breathe on 4 during training and have capability of breathing on 6, 8 and 10 patterns. No breathing after break out or during final 5 metres. Attendance: Members of Performance 2 MUST attend a minimum of 6 sessions per week. Any squad member consistently failing to reach this requirement WILL be moved to a more appropriate squad. Attitude: All squad members should exhibit a positive and professional attitude towards training (both pool and land) and competitions. Negative attitudes will not be tolerated as every session has a benefit to the swimmer and are equally valuable. Punctuality is important so that the land warm up can be performed before every session. Competitions: Every squad member should enter the competitions outlined by their coach. These will be selected to help maximise each swimmer’s performance and target major meets. Swimmers who fail to consistently compete will be moved to a more appropriate squad. Skill level should be greater than that achieved in P3. This skill level should be achieved in all four strokes. Attendance: Members of Performance 3 MUST attend all available sessions. This is to enable the swimmer to maximise their potential. Any squad member consistently failing to reach this requirement WILL be moved to a more appropriate squad. If a swimmer is absent from the session notification prior to the beginning of the session is required. Frontcrawl, breathe on 4 during training and have capability of breathing on 6, 8 and 10 patterns. No breathing after break out or the last 5 metres. Attitude: All squad members should exhibit a positive and professional attitude towards training (both pool and land) and competitions. Negative attitudes will not be tolerated as every session has a benefit to the swimmer and are equally valuable. Punctuality is important so that the land warm-up can be performed before every session. Feet past the flags on all turns. 3-4 fly kicks on frontcrawl and fly, 5-6 on backstroke, use fly kick during breaststroke underwater phase. Hold streamlined position for 2 seconds during breaststroke turn. Learn stroke count for all strokes and how they relate to varying training speeds. Continued development of skill requirements for Skills 3. Should now be targeting 200m per stroke and 400 I.M. Attendance: Members of Skills 3 MUST attend all available sessions. This is to enable the swimmer to maximise their potential. Any squad member consistently failing to reach this requirement WILL be moved to a more appropriate squad. If a swimmer is absent from the session notification prior to the beginning of the session is required. Attitude: All squad members should exhibit a positive and professional attitude towards training and competitions. Negative attitudes will not be tolerated as every session has a benefit to the swimmer and are equally valuable. Punctuality is important so that the swimmer can gain full value from every session. Good understanding of all four legal strokes and should be consistently performing legal competitive skills and turns. The main focus will continue to be developing skill levels, technique and body position. Further aerobic development will continue at this level. Swimmers should be qualifying for and competing at level 3 swim meets. 3-4 fly kicks on frontcrawl, backstroke and fly, use fly kick during breaststroke underwater phase. Hold streamlined position for 2 seconds during breaststroke turn. Correct head, body position, rhythm and timing to complete 100m for all four strokes and 200 I.M. Perform all drills required in SkillsTwo the swimmer will also be introduced to more difficult drills for each stroke. Attendance: Members of Skills 2 MUST attend all available sessions. This is to enable the swimmer to maximise their potential. Any squad member consistently failing to reach this requirement WILL be moved to a more appropriate squad. If a swimmer is absent from the session notification prior to the beginning of the session is required. Swimmers should have developed skills such as starts, turns and finishes for all 4 strokes. Attendance: Members of Skills 1 MUST attend all available sessions. This is to enable the swimmer to maximise their potential. Any squad member consistently failing to reach this requirement WILL be moved to a more appropriate squad. If a swimmer is absent from the session notification prior to the beginning of the session is required. 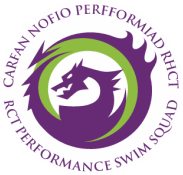 ​If any swimmer in this squad achieves the standard required for a performance squad and is able to commit to all expectations, the swimmer may be invited to enter the performance programme by the Head Coach.